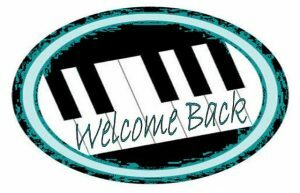 It’s always exciting to begin a new year of piano and vocal lessons. Be sure to come prepared with your music, assignment sheet, book, homework, etc. Be on time — not too early and not late! We will be working on new music and some fun activities.